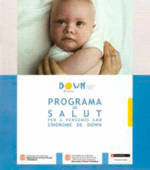 Since its creation, la Coordinadora Síndrome de Down de Cataluña has had publications with the aim of guiding the professionals who deal with people with trisomy 21. We have also published some books in which young people from Down Catalunya have participated as journalists, musicians and cooks! If you are interested in collaborating with us by purchasing any of these publications, you can do so by contacting us at: info@sindromedown.cat. 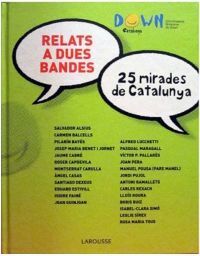 Down Catalunya publishes a compilation of Catalan stories by President Pasqual Maragall, President Jordi Pujol, writer Isabel Clara Simó, illustrator Roser Capdevila, footballer Rexach and journalist Àngel Casas, among many others. 25 figures were interviewed by young people from Down Catalunya, and they have shared short stories full of personal anecdotes. Text in Catalan. 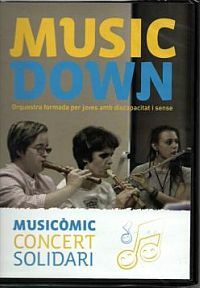 A DVD that gathers three Catalan folk tales performed by the MusicDown orchestra. It is a work in which visual aspects of the comedians of the cartoonist Picanyol merge with the music of the composer Antoni Tolmos. Five of the interpreters become narrators of the stories, giving life to all the characters and producing the music of the orchestra. A short book written to help new parents with the birth of a child with Down syndrome. 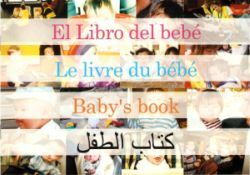 It is translated into Spanish, French, English and Arabic. 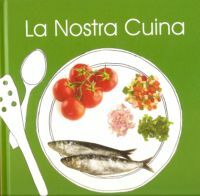 A book that includes simple recipes organized to favor the autonomy of young people with Down syndrome and other similar intellectual disabilities. In Catalan. 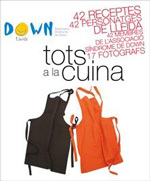 Book consists of recipes prepared thanks to the selfless involvement of professionals from Lleida such as photographers along with children and young people with Down Syndrome. In Catalan. This edition is a translation of the Health Program prepared by Down Spain, and consists of establishing a series of protocols to guide professionals who deal with people with trisomy 21. It is about helping the parents of a newborn with Down syndrome so that they can conceptualize their situation in a positive manner. In Catalan.